Your first visit to our office establishes a vital foundation for our relationship with you. During the first visit, we make sure to obtain important background information, like your medical history, and give you time to get to know your therapist. In preparation for your first appointment with at Total Rehabilitation, Inc., please see our Patient Forms section below and download your paperwork. If possible, please print the forms and fill them out at your convenience. We suggest that you arrive 30 minutes before the start of your first scheduled appointment to complete our registration process. To schedule an appointment call 479-452-7773 or use our convenient Appointment Request Form. 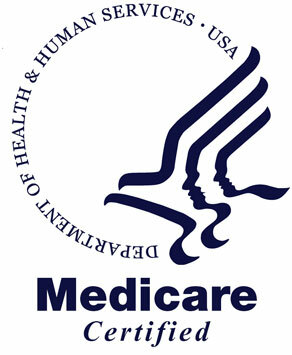 Total Rehabilitation, Inc is Medicare Certified. We also participate in private insurance, workman's compensation, and Medicaid. We work closely with your doctor and other healthcare professionals to provide you with the best physical therapy. Please note that most insurance providers require a referral from your physician before you can partipate in physical therapy. At Total Rehabilitation, Inc., we value your time and in an effort to save you time in our office, you can download and complete our Patient Information Forms prior to your appointment. The forms are available in PDF format and in order to view them you will need a PDF viewer such as Adobe Reader. If you do not have Adobe Reader click the "Get Adobe Reader" link to get it free of charge.